Association Spectrum ART, founded in 1997, located in Bratislava, Panská street 4, is a prestigious non-profit organization that is led by founder and president Dr. Dušan Kollár, specialized to support art, artists, art symposiums, renewal and maintenance of historical and artistic heritage, preservation and promotion of purity of Slovak folklore, support of various interest clubs, ensembles, singers and dancers, publishing and editorial activities, as well as promotion of Slovakia and Slovak art in abroad. A core group consists, besides the President of the company, Dušan Kollár and S.A.M.C. club President Kamil Peteraj, of seven Slovak artists: Juraj Čutek, a sculptor, Ivan Pavle – a painter, Rastislav Trizma – a sculptor, Júlia Sabová – textile artist, Fedor Nemec – a photographer, Vladimír Oravec – a ceramist and Róbert Němeček – an architect and graphical designer. This is a generation related group of academically educated artists on the top of their creative forces. Protective fatherly hand is held above the association by a doyen, honorary member of the community, national artist Tibor Bártfay, academic sculptor. Broader range of members, honorary members, guests and friends are associated in the interest club Spectrum Art Members Club (S.A.M.C. ), which was founded on 28. 5. 2002 on the occasion of arrival of His Highness Hereditary Prince Albert Grimaldi who has also the club solemnly opened. Executive president of the club is Kamil Peteraj. The first honorary member of the club S.A.M.C. is HE Rudolf Schuster, at that time President of Slovak Republic. Honorary membership in addition to Prince Albert Grimaldi further accepted HE Stéphane Valéri, Principality of Monaco Chairman of the Parliament, HE Cristina Noghés-Menio, Honorary Consul of Slovak Republic in the Principality of Monaco, as well as other members of the delegation – the highest representatives of the Principality of Monaco. 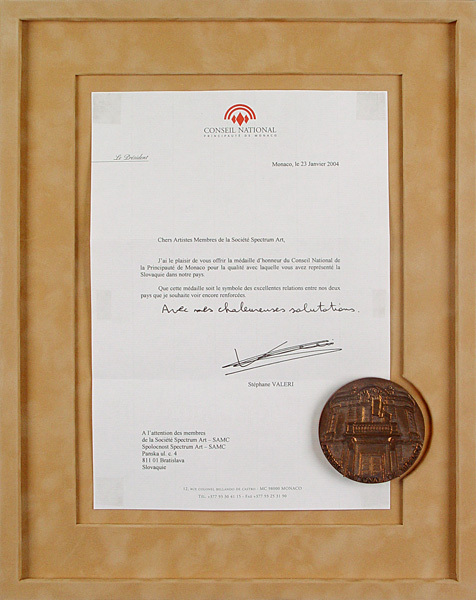 Activity of the association was awarded twice by Principality of Monaco Chairman of the Parliament plaque 2004/2006 and individual artists of the Art Council Spectrum ART were awarded by Silver commemorative medal of the President Rudolf Schuster in 2002. 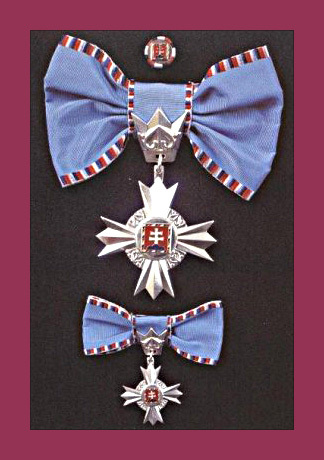 In 2004 were Dušan Kollár, Janko Petrenka and Kamil Peteraj awarded Cross of the President SR II. 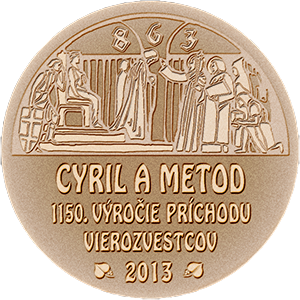 Instance for the contribution to culture by HE President of Slovakia, Rudolf Schuster. 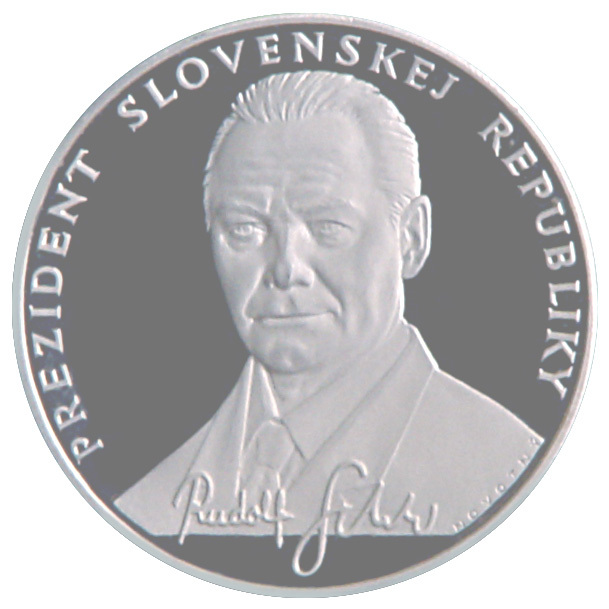 President of association Dušan Kollár was awarded Little gold medal HE President Rudolf Schuster in 2002 and a Big silver plaque for the positive promotion of Slovakia. He also got the prize of Paris et ses Ponts (Paris bridges) in the years 2000/2002 from HE ambassador of Slovak Republic in Paris, Mr. Vladimír Valach. In 2009, granted the civic organization Kubánkov sen (Kubánka´s dream) and Slovenský ľudový umelecký kolektív (Slovak Folk Art Ensemble) Commemorative plaques to Dušan Kollár for support of Slovak folklore on the occasion of his anniversary.